Put your Xbox One Wireless Adapter to work with more than just your controller. When Microsoft brought the Xbox One’s wireless adapter to Windows 10, it hinted that we might see a whole host of peripherals taking advantage of its connection standard in the near future. Imagine, one dongle and you could hook up your Xbox One controller, a headset, and more—up to eight wireless devices at once, with low latency. And yet that future never materialized. Three years later, and the only thing I use my Xbox One Wireless Adapter for is the Xbox One controller—and now Turtle Beach’s Stealth 700 headset. 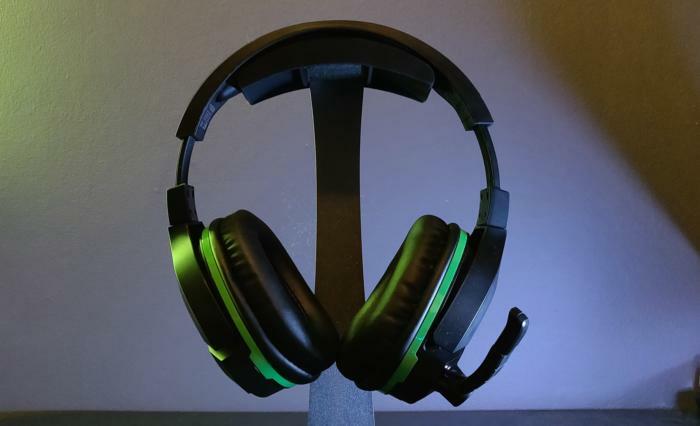 Released late last year, the Stealth 700 is the debut third-party headset to integrate Microsoft’s connection standard. For most, that’ll mean hooking it up seamlessly to an Xbox One, no adapter necessary. But for me? It means one less dongle I need to plug into my PC’s overcrowded USB buses. The Stealth 700 (currently $129.95 on Amazon) is one of Turtle Beach’s nicer looking headsets—as long as you’re fine with lime green and black, of course. It is, after all, an Xbox headset at heart. It’s sleek though, with its lime-green hue on the safe side of eye-searing, and the highlights used in ways that accentuate the shape. 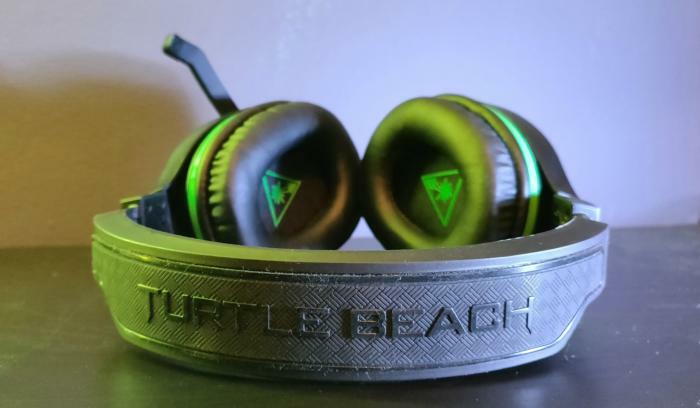 A lot of Turtle Beach’s designs look chintzy, but not the Stealth 700. It’s a good-looking device, one that’s clearly intended for gaming while side-stepping a lot of the ugly tropes associated with headsets. Alas, the illusion doesn’t hold up as much once you’ve got the Stealth 700 in hand. It’s fine, but an abundance of plastic and thin earcup padding undercut the Stealth 700’s good looks. Some aspects feel distinctly “budget,” which is at odds with the Stealth 700’s $150 list price. That price tag puts it squarely in competition with Logitech’s G533 and other premium-feeling devices, and the Stealth 700 just doesn’t hang. The earcups give me the most trouble. Turtle Beach touts its “ProSpecs Glasses Relief System,” which means there’s hard foam along the top and bottom but softer foam on the sides. In theory, it should help people with glasses be more comfortable. But as someone who doesn’t wear glasses, it’s a detriment. Did I mention the foam along the top and bottom is hard? Thin and hard, even after breaking in the Stealth 700 for a while. I’ve gotten used to it, and at times the headset has felt deceptively comfortable. When I return to competitors though—say the G533, or Astro’s A50s, or the HyperX Cloud Alpha—I realize the Stealth 700 is tolerable at best. I do love some aspects though—namely, the on-ear controls. They’re not 100 percent intuitive but there are a lot of them, and that’s always helpful. On the left face you’ve got buttons for power, Bluetooth pairing, and “Superhuman Hearing”—an EQ mode that’s supposed to make footprints sound more prominent in-game. Then on the back you have separate wheels for overall volume and chat volume, the Xbox One wireless pairing button, and power and a 3.5mm port to round out the bottom. It’s a feature-laden headset, and all the controls are easy to find and relatively easy to use on-the-fly. The microphone is also flip-to-mute, which is one less button to remember. Overall it’s not the fanciest headset I’ve used, especially in this price range, but the Stealth 700 is a step above most of the Turtle Beach gear I’ve used. That goes for audio, too. It’s not amazing, but it’s solid. The Stealth 700 has a warm, bass-heavy sound that’s surprisingly good for music listening, even if it’s not the most faithful representation of what you’re hearing. It’s also pretty good for gaming, with heavy explosions and action scenes sparkling. The mid-range is a bit more washed out, and the high-end not as snappy as I’d like. The Stealth 700 isn’t your best choice in that $150 tier, for sure, but it beats Corsair’s Void line at least. Regarding the “Superhuman Hearing” mode I mentioned above? As I said, it’s supposed to highlight enemy footstep sounds by boosting that narrow EQ band a bit. In practice? Well, I haven’t noticed a huge difference. It certainly works as advertised, and woe be on the person who leaves that mode enabled and then listens to music. (It sounds awful.) But I haven’t noticed my skills improving or anything as a result. Seems like a fashionable gimmick at best. The microphone is mid-tier, enough to convey your voice but not much else. That’s true of most headsets, so it’s hard to hold it against the Stealth 700, but it’s another place where Turtle Beach could’ve shone rather than simply meeting the average. My biggest complaint is that all of the notifications are handled audibly, in the headset. That in itself isn’t unreasonable, but Turtle Beach a) cuts off the audio you’re listening to, when playing an alert and b) fashioned some unreasonably long alerts. Most annoying is the low-battery indicator, which silences whatever you’re listening to so a gruff man can say “low battery” every 2 to 3 minutes. Speaking of which: Battery life could be better. The average nowadays seems to be about 15 hours, with more than a few headsets touting up to 24 hours. 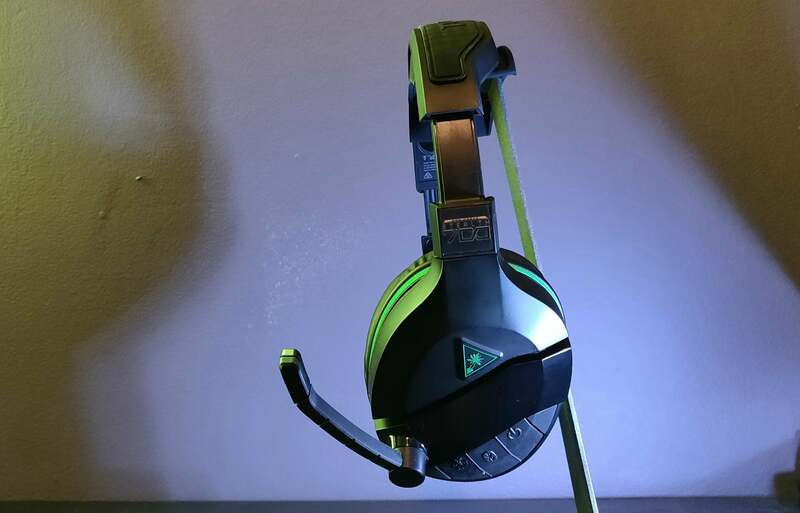 The Stealth 700’s 10 hours feels lackluster by comparison, especially since there aren’t any fancy LEDs or anything for Turtle Beach to worry about. But the real coup is, as I mentioned, the fact that the Stealth 700 connects directly to the Xbox One Wireless Adapter for Windows 10. I really have been curious to see whether manufacturers would take advantage of this standard. It sounds promising enough, basically allowing you to connect all your devices through one central hub instead of needing a dongle here, another dongle there, and so on. 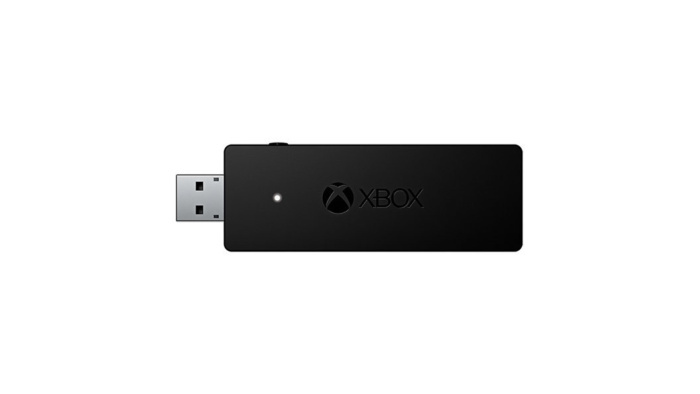 The Xbox One Wireless Adapter in question. Adoption’s been slow though. So slow that the Stealth 700 is the first headset I’ve used with that’s compatibile, three years after the Xbox One Wireless Adapter’s debut. Why? I’m not sure. It really is seamless, for the most part. I’ve had one or two dropped connections, but just for a few seconds each time. And setup? You just press the familiar pairing button on the Stealth 700, the same pairing button you find on an Xbox One controller. Then press the corresponding button on the wireless adapter, the two connect, and boom—now you have both your controller and headset hooked up, and only one USB port occupied. It doesn’t sound like much maybe, but if you’re like me and every single USB port on your PC is filled, such economy of space is a blessing. The downside, of course, is that you need to buy the Xbox One Wireless Adapter—it’s $25 on Amazon—if you never bothered to get one for your Xbox One controller. That’s not bad, but it’s an added expense for an already expensive headset. Alternatively, you can pair through Bluetooth—but most desktops don’t sport Bluetooth out of the box either, as that feature’s often reserved (for whatever reason) for higher-end motherboards. Turtle Beach’s Stealth 700 isn’t the best value you can find for a wireless headset, but it’s a nifty little experiment. I’m personally hoping we see more devices take advantage of the Xbox One wireless adapter soon, as it seems like a fairly reliable connection with a lot of untapped potential. In the meantime? There’s...well, this. And it does a serviceable job, with better audio than I expected and a stylish aesthetic. Between the short battery life, thin ear padding, and middling mic though—well, I just wish it were saddled with fewer minor issues. They add up.